Rao Bahadur Cruz Fernandez was a social thinker and a reformer. As a philanthropist he did many services to the Thoothukudi Municipality, which are worth mentioning. Cruz Fernandez, The Minicipal Chairman of Thoothukudi town was responsible for bringing water from vallanad to Tuticorin. He did many other things for the development of Thoothukudi. His services to the town are visible. He was affectionately called the father of Pearl City, Thoothukudi. He was a man beyond caste, creed and colour. His selfless services rendered to the society must inspire the men of our town to spend themselves for the good of mankind. His exemplary life inspires the present generation to do something worth mentioning for the welfare of the society. From the announcement of Thoothukudi Municipality that is from 1866 to 2008 there are about twenty-two chairmen. They are all did wonders to the Thoothukudi municipality. Here the services done by Mr. Rao Bahadur Cruz Fernandez must be remembered without him. The Thoothukudi would be remained as a village. Even now his welfare schemes are speaking the achievements of Rao Bahadur Cruz Fernandez, the Father of many-sighted town Thoothukudi. The man who inspired the present generation to do something worth mentioning for the welfare of the society was Rao Bahadur Cruz Fernandez. Mr. John Santa Cruz Fernandez’s second son Rao Bahadur Cruz Fernandez was born on 15th November 1869. He married his sister-in-law Mrs. Thopias Mary and had four sons, three daughters. He named his eldest son as John. Except his firth girl child, he lost all his children. She was Mrs. Lilly Cruz Fernandez. He brought up his only daughter with lots of love and care. She was brought up with good care, good education and good manners, and she was a God fearing child too. He along with his daughter lived with his brother’s family until she attained puberty. After that, he built a own house for himself under the counseling of Mr. Gnanathickam, a civil engineer, after removing the cowshed, horse stable and servant quarters and named it as ‘LILY LODGE’ in remembrance of his only living daughter and started living there since 1917. His home, Lily Lodge, is in the Periyakadai Street. 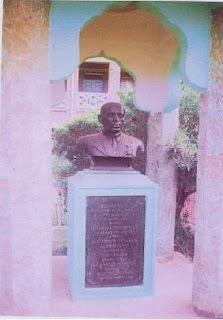 Even now this house speaks about the name and fame of Rao Bahadur Cruz Fernandez. It is a living monument even today. Cruz Fernandez gave his only daughter Lily in marriage to Mr. A.P. Vaz. Their son Mr. Elstin Vaz was a B.A. graduate worked in Harvy Mills. Presently he is in Chennai. Cruz Fernandez’s hard work raised his position high. He belonged to the staunch Catholic family. He was an old student of St. Xavier Hr. Sec. School run by the Jesuit missionaries. 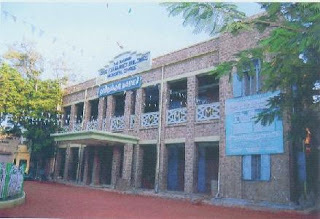 It is one of the best schools in Tuticorin. The school provided him with good education, good discipline and manners. As a good disciplinarian, he always promoted good deeds among his supporters. The teachers of the school were his roll model. Mr. Cruz Fernandez was a man of principles and a kind hearted man and had a leadership quality. So from the early days itself he had a quality of managing others with love and affection. But at the same time he himself worked along with other workers. He was noted for his hard work and a lover of his duty. Cruz Fernandez started his early life as a clerk in the Walcot Company in Tuticorin. His young and energetic quality was attracted by Mr. Selviger, who was then the chief manager of Walcot Company in Tuticorin. In those days this company was very popular. He recommended the young Cruz Fernandez to the company. The company also recognized his services and appointed Cruz Fernandez as a clerk in the company. He was very much pleased by his sincere and entire work. He did his work up to the mark of the directors of the company. Mr. Selviger, very much appreciated the hard work and sincerity of Cruz Fernandez and later he made him as his personal secretary. His tired less work earned the good will of the company. When he worked in the Walcot Company he faced with many troubles. But he set aside all the problems with an iron heart. His efficiency was attracted by the Ralieh Company, which was run by the English. They appointed him as an accountant. His sincerity, honesty and hard work earned good name and fame for him. These three were the watch ward of his life. He never liked any kind of recommendations. He was a man of justice. He had a strong belief in him. The company then made his as a broker. He brought many shareholders to this company. After some years later he was given the rank of a sub agent for the company. When he was working as a broker in the Ralieh Cotton Office Traders used to send cotton bundles as sample to fix price. These bundles used to accumulate in abundance. He used to sell free accumulated cotton sample bundles and entrusted the amount so collected to the then renounced cotton merchant A.M.M. Chinnamani Nadar. He requested Mr. Chinnamani Nadar to use the money for the benefit of poor students irrespective of caste and religion towards fees and books. Mr. Chinnamani Nadar would pay for who ever students recommended by Mr. Cruz Fernandez. Though he belonged to a rich family, his heart was attracting always towards the poor. His humanitarian outlook made him popular among the poor and the poverty stricken people. Where ever he went he was gathered by the people. He loved the people of the town as his own children. 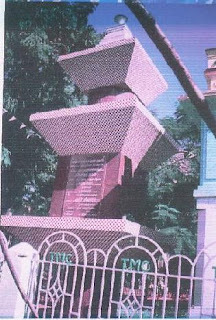 The love and affection showed towards the people of the town made his as the chairman of the Tuticorin Municipality for the first time in 1909. The labourers admired his personality and was always in the midst of workers. In the year 1876 Maniyatchi and Tuticorin were connected by rail and the first passenger train was launches out. In 1899, the railroad project was further developed. By the time the Tuticorin Municipality worked very hard to develop itself. The year was very important in the sense that Cruz Fernandez was elected as the chairman of Tuticorin Municipality for the first time. He had a good leadership quality. His leadership was accepted by all irrespective of caste and creed. He was a man of ideas. His ideas transferred the village Tuticorin in to a big and prosperous town. As a chairman he worked a lot and brought about many welfare schemes both individually and collectively. The people of the town liked the young and energetic hero. And they showed their gratitude by electing him as chairman of Tuticorin Municipality for another four times. Totally he was the chairman of Tuticorin Municipality for FIVE TIMES. God and the people of Tuticorin Municipality showered blessings on him. He too respected the feelings of the people and worked till his life for the development and betterment of the town. The hero Cruz Fernandez is ever remembered in the history of Tuticorin Municipality. The son of the soil Mr. Cruz Fernandez served the people of Tuticorin in so many ways irrespective of caste, creed and colour. That is why even after many decades he is affectionately called as “The Father of Tuticorin”. Mr. Cruz Fernandez is one of the architects of Tuticorin Municipality. His services to the Tuticorin Municipality were ever lasting one. His love and affection to the municipality was a memorable which earned him the good will of the people. People of the Tuticorin town trusted him. The people admired him and wanted to show their gratitude. The result was the people of the town elected him as the Chairman of Tuticorin Municipality. Their heart was filled with joy when they elected Cruz Fernandez as the seventh Chairman of the Tuticorin Municipality in 1909. They saw so many qualities in him. And the town was proud of him and they elected Cruz Fernandez as chairman for another four times. Altogether he was the chairman for 5 times. When he was the chairman he worked along with the councilors, who gave their full-fledged support to him to carry on his welfare schemes. From the above-mentioned names of the councilors, one can say that Cruz Fernandez worked among the men of different caste and religion. He got the support of all councilors. It was very difficult to work among the men of different caste and religion. But for Cruz Fernandez is was an easy job and he earned the wholehearted support of his councilors. It was because of his love and affection towards others. He treated every one as his own people. This character made him to work among different people in a smooth way. Cruz Fernandez was a social thinker and a reformer. But for his foresightedness and awareness Tuticorin would not have tasted the delicious drinking water of Tamiraparani. But for him this would not have materialized. He started to analyse the reason for the massive death toll in epidemics. He also noticed that there was shortage of drinking water because of the increase of population. He was determined to bring safe drinking water to the public. He consulted the state government several times for such a plan. He made an memorandum of understanding with Tirunelveli and Palayamkottai municipalities. That water will be pumped from the river Tamiraparani and Vallanadu and will be supplied after purifying through Pipes. This plan in those days itself cost Rs. 18.50 Lakhs. The Tirunelveli and Palayamkottai Municipalities withdrew their support unable to bear the expenses after a few months. But Mr. Cruz Fernandez was steady in his plan. The Tuticorin Municipality under his leadership took the entire responsibility. In 1873 an open channel of 6.4 Km length was excavated by the Public Works Department at cost of Rs. 4,000/- for diverting the water of the Korampallam irrigation tank to a reservoir in the outskirts of the town. From this reservoir water was distributed to several wells in the town by means of conduits and earthenware pipes laid by the Municipal council at a cost of Rs. 9380/- in 1896 a comprehensive water supply scheme was recommended by the Sanitary Board. It consisted of two portions and the execution of the first portion took place in 1906 at a cost of Rs. 1,17,780/- and the second in April 1908. Later, it was found that the improvement of the Korampallam tank interfered with the irrigation interests of the ryots. But due to contamination in the drinking water Cholera and other water borne diseases occurred frequently and affected hundreds of people. In order to control these epidemic diseases, Cruz Fernandez who was the Chairman of the Municipality during 1909, 1910, 1912, 1919 and 1925 introduced a novel scheme. it was a joint water supply scheme for the three towns namely Tuticorin, Tirunelveli and Palayamkottai from the Tamiraparani river near Vallanadu which is 38 Kms from Tuticorin at a cost of Rs. 18,23,275/- in 1932. Both these Municipalities and the public works departments plunged in action during 1914 to 1915. but the break of World War I affected its further progress and the work was kept in abeyance. In 1925 and 1926 the expenses of the project was escalated to Rs. 27,83,765/-. Cruz Fernandez got this amount as grant and as loan and completed the scheme in 1938 and enabled the people of Tuticorin, to get good drinking water. Before the completion of this scheme when there was scarcity of water, Cruz Fernandez arranged bringing of water to this town by train from Kadambur and by THONIS (Country Boats) FROM SRI LANKA. Water tax was also levied on the people. Though initially it was criticized by the people, the success of the programme changed their mind to accept it without opposition. Later on seeing the achievement of Cruz Fernandez, he was affectionately called as “THE FATHER OF PEARL CITY” by the people of the Tuticorin. The third line of the Tuticorin Municipal water supply scheme from Vallanadu to Tuticorin was sanctioned by the Government in 1991 at a cost of Rs. 1770.96 Lakhs is a milestone in the history of Tuticorin Municipal. The work is in progress and is executed by the Tamilnadu Water Supply and Drainage Board (TWAD). The head work is at Vallanad and the reservoirs are at Millerpuram, Levingipuram, Subbiah Park and Cruzpuram with a capacity of 15 Lakh, 15 Lakh, 20 Lakh and 10 Lakh litres respectively. At present drinking water is supplied to the town from the Tamiraparani riverbed in between Vallanadu and Murappanadu which is 42 Km, away from the town. The water is drawn through infilteration canals and pumped to the four reservoirs situated at Rajaji Park, V.V.D. Park ground level reservoir, Bolnaikenpettai and South Cotton Road with a capacity of 17 Lakh litres, 11.25 Lakh litres (20 Lakh Litres), 15.75 Lakh Litres and 14.85 Lakh litres respectively. In this town drinking water is distributed through 117.579 Km length polymer pipes. It is also decided to remove the iron-rusted pipes and replace them with polymer pipes in all the areas of the town. The town is divided into four zones and water is supplied in alternative days. At present, the daily water supply in the town is 160 Lakh litres supplied at the rate of 7 Litres of water per family. There are 24995 domestic service connections, 1077 commercial service connections and 5 industrial service connections in the municipality. Apart from these there are 659 public fountains. Minimum of Rs. 36/- for domestic connection, Rs. 75/- for Commercial connection and Rs. 110/- for industrial connection are collected as water charges in the municipality. In the water scarcity area, water is distributed through water lorries. Today Tuticorin is blessed with drinking water when so many towns and villages are denied the same. Today Tuticorin public are utilizing 24 Lakh gallons of water supplied through 458 street taps and hours taps for 3 hours from the plan that Cruz Fernandez drafted for long time use almost fifty years ago. The man who created the nucleus was beyond caste and creed. The present Peirya Market (Near St. Antony’s Church) is the brainchild of Mr. Cruz Fernandez. He was driven by the noble motive that the general public should get all food and essential commodities in a single place. So he decided to change the thorny area into a market area and erected building for housing various shops. In the year 1920, he leveled the barren land in the middle of Tuticorin and started a marked named in Saturday Market. The same market is contribution a minimum of Rs. 2 ½ Lakhs to the Municipality as Tax. There were a lot of difficulties in the first phase of the work. But he had overcome the difficulties with an iron hand. Very limited shops were opened in the early days, cattle and poultry came from the near by villages. Very slowly vegetables, eggs and mutton started arriving the market. There was a dilemma weather this market would exist or not. But for his sudden surprise this market was run in a good way. Later the buildings of market were extended by Mr. J.L.P. Roche Victoria. Mr. Subbarayan, Commissioner of the Municipality has engraved on the base stone about the market. The construction of the market is a blessing for the Tuticorin Municipality. Today chunk revenue to the municipality comes from this V.O.C. Market. Indeed Cruz Fernandez is a prophet. The present site of the Municipal Building is the countless efforts of Mr. Cruz Fernandez, so late Mr. J.L.P. Roche Victoria, when he was the chairman of the Municipality. As a gratitude for the works done by Cruz Fernandez to the people and town, named the new building as “Roa Bahadur Cruz Fernandez Buildings”. Mr. Rajagopalachariar the former Chief Minister of Madras Presidency has an idea of naming the Thoothukudi Municipality as Cruz Fernandez Building. 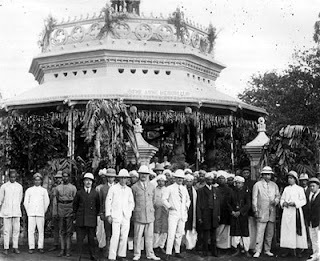 In 1943 Raja Sir Muthiah Chettiar opened the Cruz Fernandez Building in the municipality. In honour of the selfless services rendered by Cruz Fernandez his statue was installed in front of the Municipal Building. He maintained cordial relations with the British. Especially with Mr. Ash, this then Sub-Collector of Tirunelveli District. With his support Cruz Fernandez carried out many social reforms. 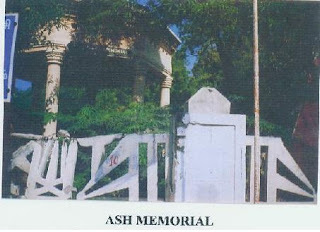 To show his gratitude Cruz Fernandez built the Ash Memorial building east of Thoothukudi Municipality (Opposite to Old Port – Beach Road). Health and hygiene is the basic criteria for a happy life of the man. Cruz Fernandez realized this watchward and did many works in the society. Every day at 9 A.M. Rao Bahadur Cruz Fernandez used to visit every street by a horse drawn coach. He scolded traders who sold foodstuffs in the open places. This affected the health of the people. He warned the traders to sell their commodities in closed containers. So that the people were get rid of the diseases. Every year during October, November and December cholera spread in the town and took in the life of the people in large number. This was because of the use of contaminated drinking water from Korampallam. He ordered people to boil water before use. He also arranged to bring water by rail tankers from Kadambur and Colombo by Country Boats. But this water was sufficient for 26,000 populations. So he thought of a plan to bring safe drinking water. His thought was materialized by bringing the water from Tamiraparani and saved the citizen of Tuticorin from the Epidemics. When he was the chairman of the Thoothukudi municipality the Municipal Hospital was at West Great Cotton Road. This hospital helped the poor and the sick. During his time the Municipal hospital was managed by Dr. Annamalai, Dr. Hopper and Dr. Packiam Fernando. Mrs. Arockia Samy worked as a nurse when Cruz Fernandez was the chairman. He used to visit the hospital regularly at 11 O’ clock. He enquired the patients about their health, and the treatment given to them. He instructed the medical staff, who worked here to take good care about the patients. Rao Bahadur Cruz Fernandez thought out a plan to finance poor students to pay school fees and to bring books. Then he was working as a broker in Ralieh Bros Cotton office he talked over to Mr. Kannayiram Pillai, broker of Fort Cotton office, Mr. Selvaraj of Walcot cotton office, Mr. Joseph Fernando of Bombay Company and Mr. M.N.N. Roche Victoria of Japan Company and agreed to sell cotton collectively and samples collected were sold and the money was donated to Rao Bahadur Cruz Fernandez for educational trust. The Big Mosque in Tuticorin has a trust to oversee its assets and Expenditures. Cruz Fernandez was president of the trust and won over the hearts of Muslim Brothers. The Municipal records even today show that the lands on which the Mosque is built was donated by Rao Bahadur Cruz Fernandez. 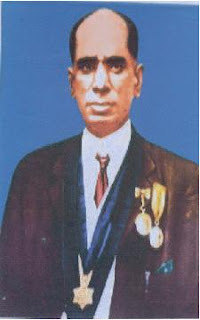 Cruz Fernandez was the Chairman and Founder of Thoothukudi Co-Operative Bank started to help the poor. Cruz Puram residents could get house-building loan on installment basis. Cruz Puram is a fisherman locality constituting the eighth ward of Tuticorin Municipality in Thoothukudi district. It extends over 6 Sq. Km consisting of 1227 families with 24,951 populations. It lies 1 Km from railway station and 1 Km from the heart of the city. It is well connected by town bus and is provided with post and telegram facilities. It is electrified, houses here are brick built, cemented and tiled. Thatched roof also found in large number. This locality consist of people of varied castes and religion. They live in harmony. Without distinctions. This locality is called after “Mr. Cruz Fernandez” the former chairperson of Thoothukudi Municipality, who gave generous donations to the schools. Another humanitarian act of Mr. Cruz Fernandez was the building of “Baby Home” for childbirth and providing a congenial environment for the blissful growth of the children. He was honoured by the British Raj with the title of “Rao Sahab”. More than that, Tuticorin and Tirunelveli citizens of all castes and creeds confirmed his acceptance as a regional leader by electing him to the Madras Legislative Assembly in 1924. He was the first to bring a car to Pearl Harbour for the wedding ride of his only daughter. Thoothukudi people saw a car for the first time then. He is the man who guided the people of this town safely and securely towards prosperity. Equally humanitarian was the pain he took for the formation of huge GRAVEYARD (Opposite to V.O.C. College) at the entrance of the town for burying the dead of almost twelve different castes. This is living monuments that speak volumes about this philanthropist and social reformer. It is our duty to pay due homage and respect to this great man. The famous Cruz Fernandez was sick with Asthma and breathed his lost on 29.03.1930. He was buried in the graveyard that he built for all irrespective of caste or religion. 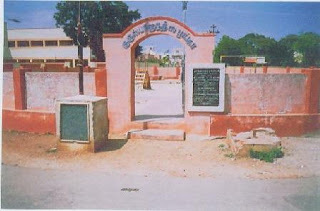 His 50th death anniversary and the 50th year of drinking water supply in Thoothukudi was celebrated on 29.03.1980. Cruz Fernandez was a man of the Masses. He dedicated himself to the cause of the public. He accepted all the people as his own. This marvelous man was the main architect of changing a small town Tuticorin in to a very big multifaceted city of today. The selfless service rendered by this unique man will be cherished and remembered for a very long time. He was not just a human but entirely “Humane”. His contributions to the Thoothukudi municipality are of unquestionable. 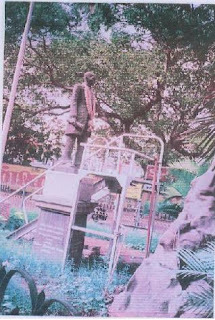 In honour of the restless services rendered by this great man his statues are installed in front of the Municipal Building and also in the midst of the Town Tuticorin. Also a Memorial pillar of Mr. Cruz Fernandez was opened in front of Tuticorin Municipality by Chairman-in Charge Mr. R. Manoj Kumar Corera for Bring Drinking water to Tuticorin. Cruz Fernandez was a noble man. He played a remarkable role as the Chairman of Thoothukudi Municipality. The contributions that Cruz Fernandez made to the development of Thoothukudi Municipality are unparalleled. Thank you for the information about Cruz Fernandez. kind apology I had published the content in the Tuticorin silver jubilee face book page without the author permission kindly forgive my mistake. Thanks for publish this article in Tuticorin Silver Jubilee FB page.